From the Golden Gate Bridge to Alcatraz Island, San Francisco is home to some of the most famous tourist attractions in the world. 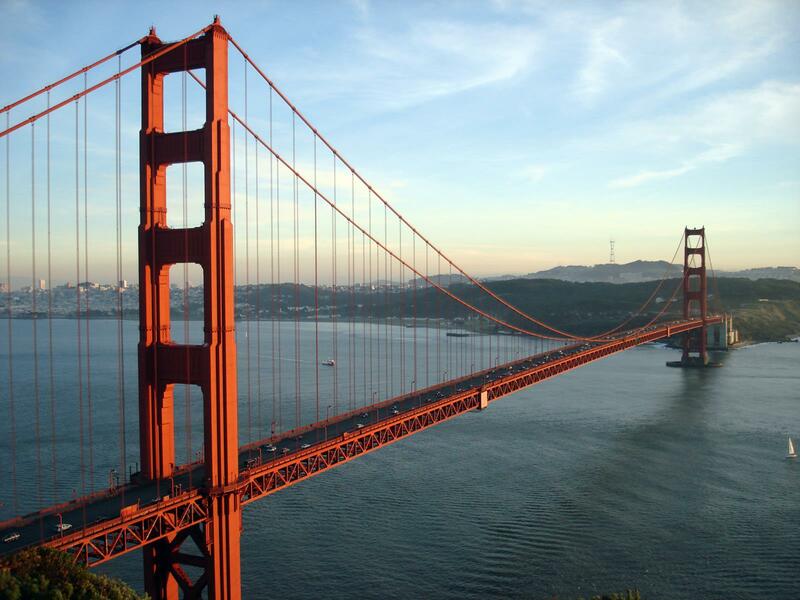 When people hear the word San Francisco, a few things probably come to mind: a giant International Orange-colored bridge, winding, hilly roads, vibrant, colorful two-story homes, an infamous penitentiary or maybe even the theme song to the 90s sitcom Full House. While these are a few things that highlight the essence of San Francisco, student groups will be fascinated to discover that there is so much more to do and see when visiting this Golden State city. When planning a trip for student groups, it’s important to keep in mind activities that will occupy students and keep them entertained, all while providing an educational and enjoyable experience. 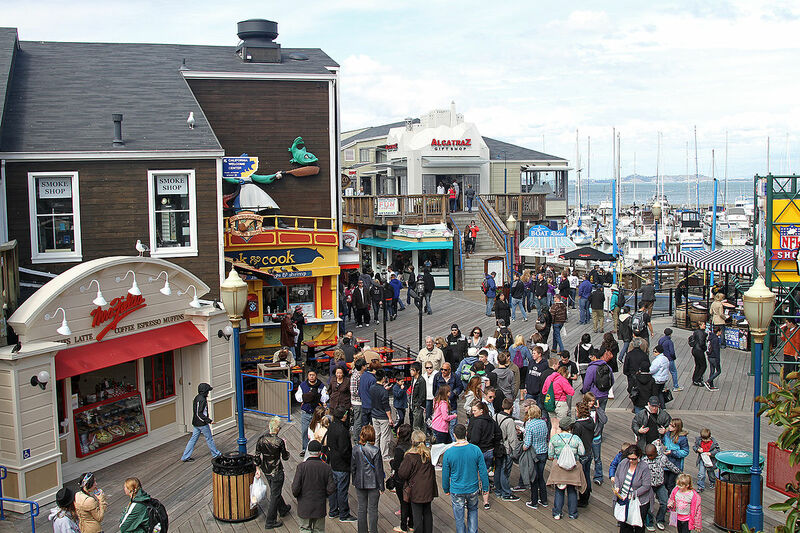 PIER 39, one of San Francisco’s most visited attractions, provides groups with so much fun and entertainment, you might not have to go anywhere else on the entire trip. Recently celebrating its 39th anniversary, PIER 39 has a little something for each individual student traveler. Students can race their opponents through a web of laser beams at the Laser Maze Challenge, play a version of “Chopsticks” on PIER 39’s Musical Stairs by Remo Saraceni, creator of the famous piano from the Tom Hanks classic Big or learn about the California sea lion at the Sea Lion Center, a free interpretive learning center. For thrill-seekers visiting between May and October, PIER 39’s high-speed thrill ride RocketBoat is a must-do. After a delicious meal at any of the pier’s dining options such as Luigi’s Pizzeria, Hana Zen Japanese Grill and Sushi Bar or Wipeout Bar and Grill, student groups can take a relaxing ride with stunning views on the hand-crafted, two-story San Francisco Carousel, get lost in Magowan’s Infinite Mirror Maze or bounce around Frequent Flyers, a fun-filled bungee trampoline. After a four-year struggle against unyielding winds, fog, rock and perfidious tides, the Golden Gate Bridge, San Francisco’s most famous landmark, finally opened in 1937. Despite once being considered “the bridge that couldn’t be built” due to such circumstances, the Golden Gate Bridge is now one of the most famous sights in all of California, and one of the most photographed landmarks in all of the world. It wouldn’t be a trip to San Francisco without a stroll across the pedestrian sidewalks of this illustrious bridge. What was once taller than any building in San Francisco, the bridge stretches 1.7 miles from San Francisco to the Marin headlands. Student groups can enjoy supreme vistas on both north and south sides of the bridge during daylight hours, with pedestrian walkways being accessible to both wheelchair users and bicyclists. Bringing the communities of San Francisco and Marin counties closer together, the Golden Gate Bridge is sure to stun visitors and for young student groups, will undeniably provide their most Instagram worthy photos of the year. Capone, Kelly and Karpis, Oh, My! Formerly home to a number of America’s most infamous convicts such as Al Capone, George “Machine Gun” Kelly and Alvin Karpis, the very first “Public Enemy #1”, Alcatraz Island was originally the site of the first lighthouse in the Western United States, but became more famously known as the federal penitentiary housing big name gangsters as mentioned above. Any history buff will go crazy over this popular tourist attraction, now part of the Bay Area’s 80,000-acre Golden Gate National Recreation Area. Student groups will get to see where the prisoners lived on a tour of the cell house when visiting the island. 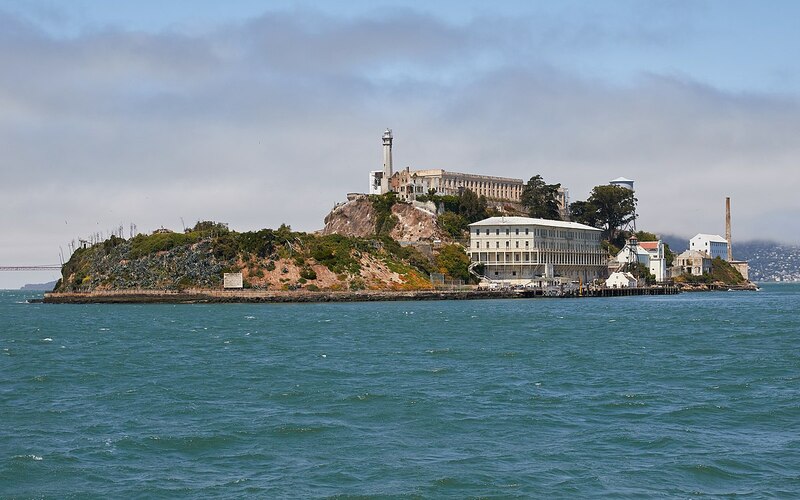 Besides its rich history, Alcatraz Island also offers student group travelers a glimpse of beautiful bay views, bird colonies, tide pools and lush California gardens. The island now offers a “Behind the Scenes” tour where students can discover areas previously not available to the public, with a chance to explore tunnels, underground jails, historical artifacts and hidden doorways. Groups can also continue their Alcatraz experience through the cell house audio tour, accompanied by the award winning audio presentation Doing Time: The Alcatraz Cellhouse Tour. 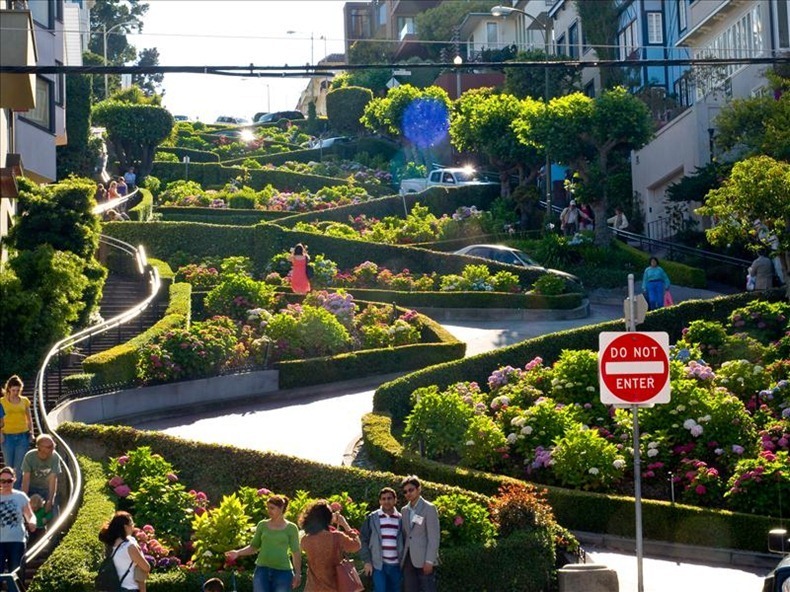 A steep, hilly street with sharp, treacherous curves, San Francisco’s Lombard “Crooked” Street boasts views of the bay, Alcatraz and Coit Tower. Arguably one of the steepest streets in the country, Lombard Street was built this way for one reason in particular: safety. Without its brilliant, tortuous curves, tourists from all over the world would be plummeting down this dangerous hill! Student groups are invited to get their heart rates pumping by taking on the challenge of this two-block road. Besides its breathtaking views, Lombard Street is also home to some of San Francisco’s most expensive real estate. Some famous homes in the area sure to excite student travelers are the Real World house, Montandon House, former home of 1960s socialite Pat Montandon and Scottie’s apartment from Alfred Hitchcock’s film favorite Vertigo. This out-of-the-ordinary yet popular tourist attraction can’t be missed on your next student group trip to San Francisco. When students and group leaders alike are looking for a relaxing, laid back activity to enjoy in San Francisco, look no further than Golden Gate Park. Without a single “Keep Off the Grass” sign throughout its abundant 1,107 acres, Golden Gate Park is a great place for large groups to sit down, enjoy a picnic and take a leisurely break from activities or band practices. 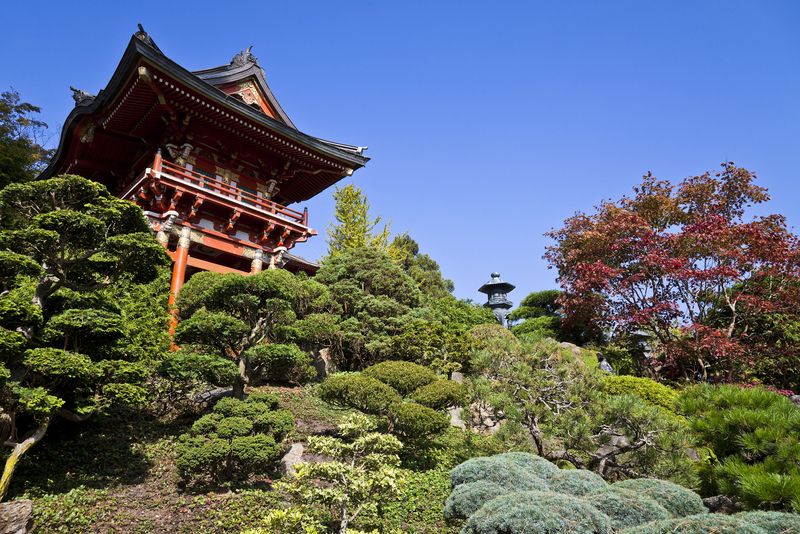 Groups can partake in Golden Gate Park Segway tours, visit the Japanese Tea House and Garden, gaze upon buffalo or wander through the Conservatory of Flowers. For younger student groups, be sure to check out Golden Gate Park Playground: Koret Children’s Quarter, featuring an authentic carousel, a towering rope climbing structure, slides and tennis and basketball courts, ideal for group games.